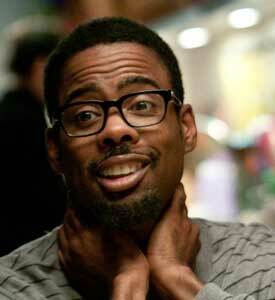 Don’t worry — Chris Rock is still funny. Sundance film 2 Days in New York — a sequel to actor/writer/director Julie Delpy‘s 2 Days in Paris — finds Rock’s character dating Delpy’s character and surrounded by the insanity that often comes with family. Although it is a comedy, the stand up superstar plays the film’s straight man. It’s a departure for Rock, who tells New York Magazine that a departure from the normal is exactly what he’s been looking for. Ultimately, Rock believes he can bring a lot to the table to help a film. “I can help sell a movie. I’m good at helping to sell a movie,” he says, showing that he’s not only willing to expand his own acting abilities but to do so in such a way to help sell a film to his fans.